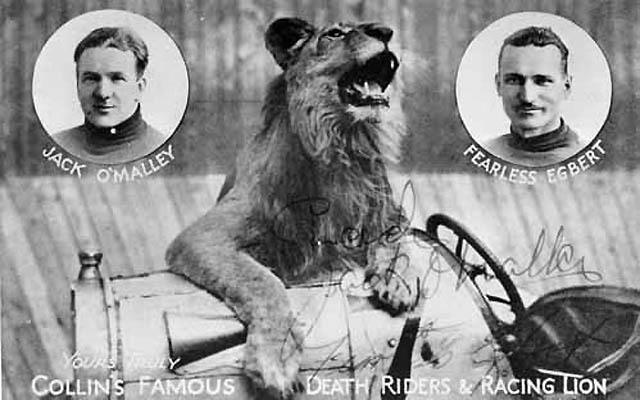 "Famous Hell Drivers - Racing Lions - Feminine Courage!" 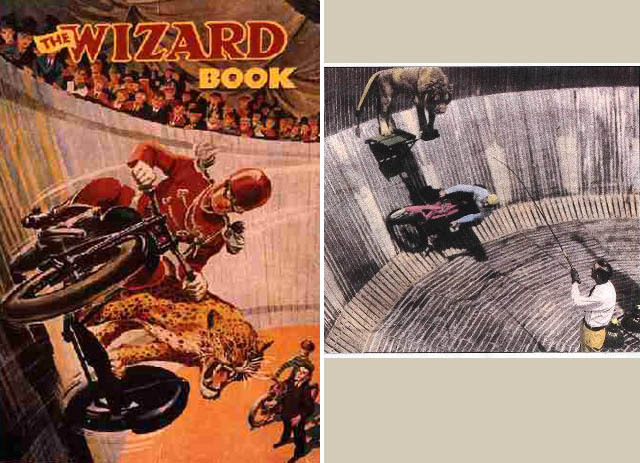 Since there was no "Harry Potter" in IMAX 3-D in the 1930s, where would you go to see an ultimate spectacle? 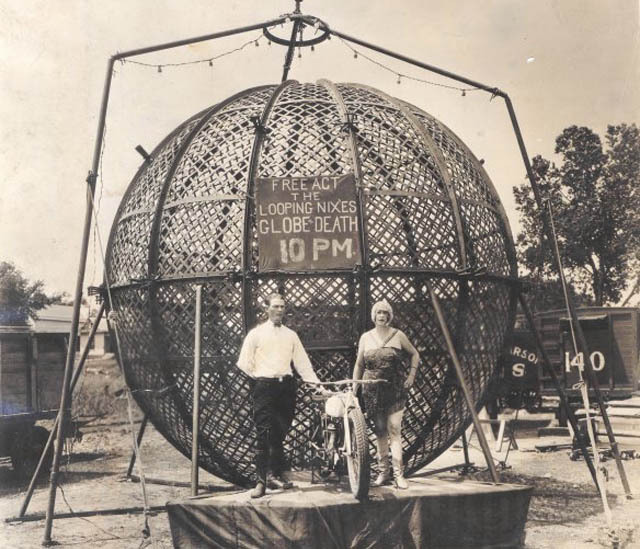 You'd go to the amusement park to see motorcycles roaring up, down, and around a huge wooden barrel, filling the air with atrocious noise, fumes and a tremendous sense of danger - with spectators standing just yards away from the action! 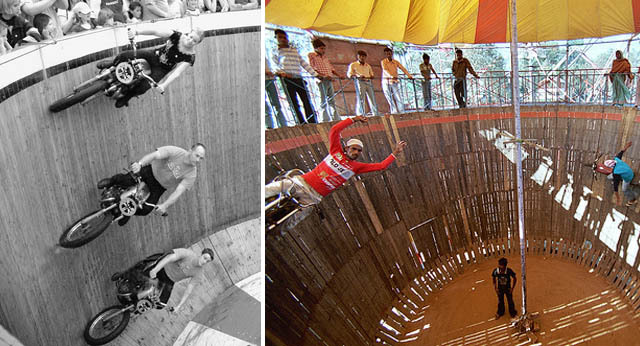 Roll Up, Roll Up, It's Thrills, It's Spills - It's the Amazing "Wall of Death"! 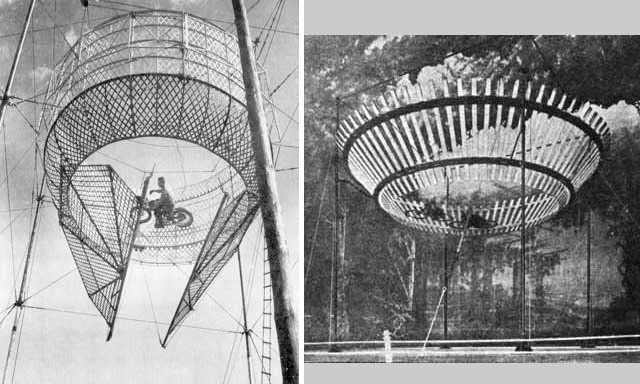 The first such motordome appeared in 1911 in Luna-Park at Coney island, New York; and in only 4 more years these walls became completely vertical, with not just single drivers, but the whole motorized crews thundering upon them. Lions and Ladies at "The LionDrome"
To have a lion right behind you on your passenger seat would be quite risky (it might get a bit too stressed and bite your head off, you know), so the drivers placed them in side-cars, and were careful not to smell of alcohol while driving - lions absolutely hated it! 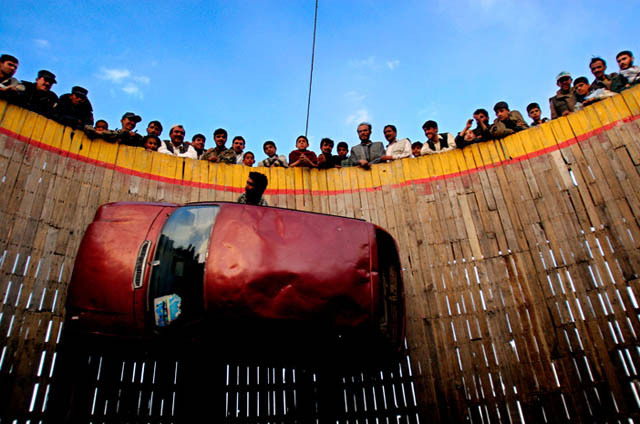 From "Walls of Death" to "Globes of Death"... maybe even to "Moebius Strip of Death"? And here is "The Hornby Smith Globe", not for the fainthearted - suspended in the thin air. 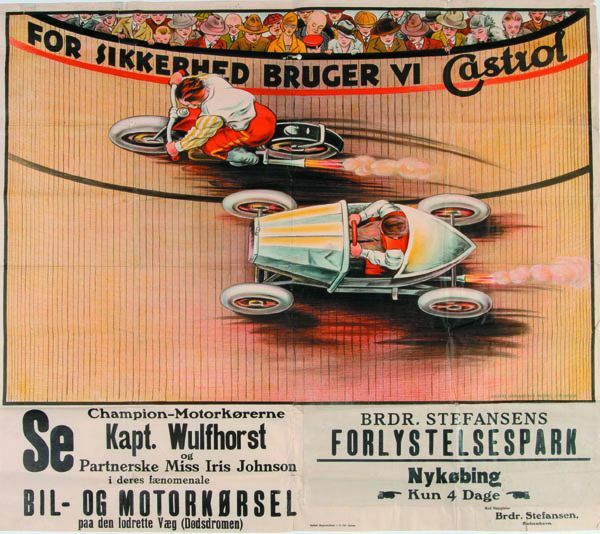 The first poster is from a danish amusement park, and the text reads (roughly translated): "For safety, we use Castrol" and "See the champion drivers Capt. 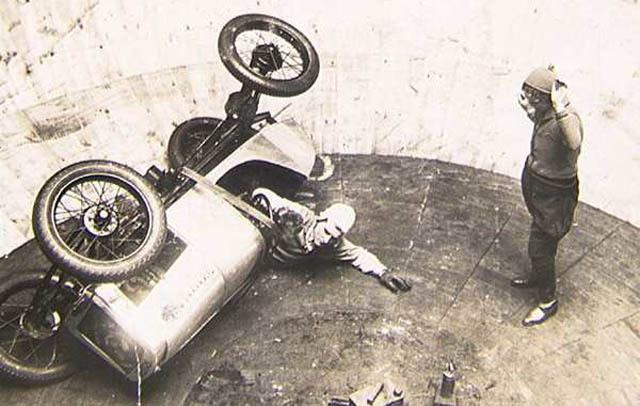 Wulfhorst and his partner Miss Iris Johnson in their phenomenal car- and motordriving on the vertical wall (Wall of Death)". Haha! 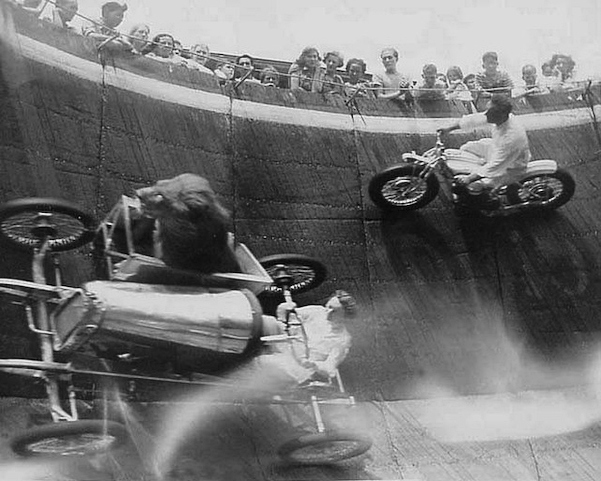 If driving a motorcycle in a giant hamster wheel isn't dangerous enough, obviously the best solution is to put a freakin' lion on your motorbike too. I'm only 56, but my grandfather took me to see one of these when I was a boy. 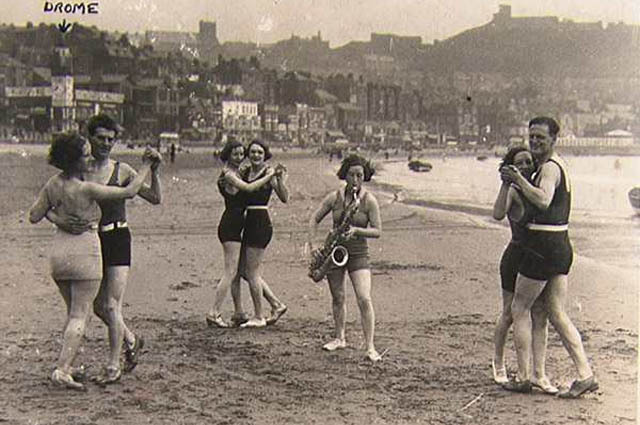 That would have been the late 50's in Oregon. It was pretty great and yes, it was very stinky!! !